Branford-Celebrate the first night of Chanukah on the Branford Green on Sunday Dec 2. at 4:30PM with the lighting of the Menorah followed by a Chanukah party in the historic "Academy on the Green." Enjoy music by East Rock Klezmer, delicious Chanukah refreshments and fun activities for the kids. There is no charge. East Rock Klezmer plays a rich musical mix of blues and jazz, bringing to life the authentic "old-world" Jewish sound of clarinet, accordion, and fiddle. Their music laughs and cries, dances and dives to reach the heart and soul of the audience. Jewish culture, prayer and long history find expression in the timeless melodies of this local group. "Academy on the Green" is a small white building on the southeast corner of the Branford Green. 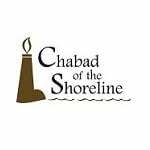 Address is 200 Montowese St. Email chabad@snet.net or call 203-533-7495 for more information. 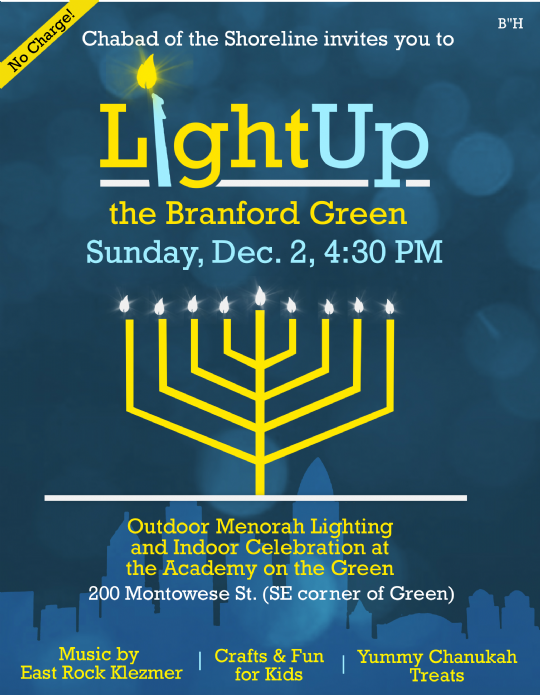 Menorah lighting on the 8th night of Chanukah, on the Guilford Green Sunday Dec. 9, 4:30 PM. Enjoy music & delicious Chanukah refreshments For more information please contact us at chabad@snet.net or 203-533-7495. For more information about Chanukah, please visit www.jewishoreline.org/chanukah. It’s a Chanukah mega-site, loaded with audio, video and interactive games. 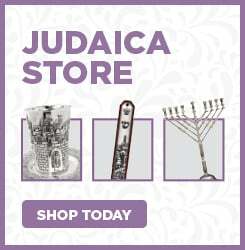 If anyone does not have Chanukah menorahs and candles, please call Chabad at 203-533-7495 and we will make sure you get some.